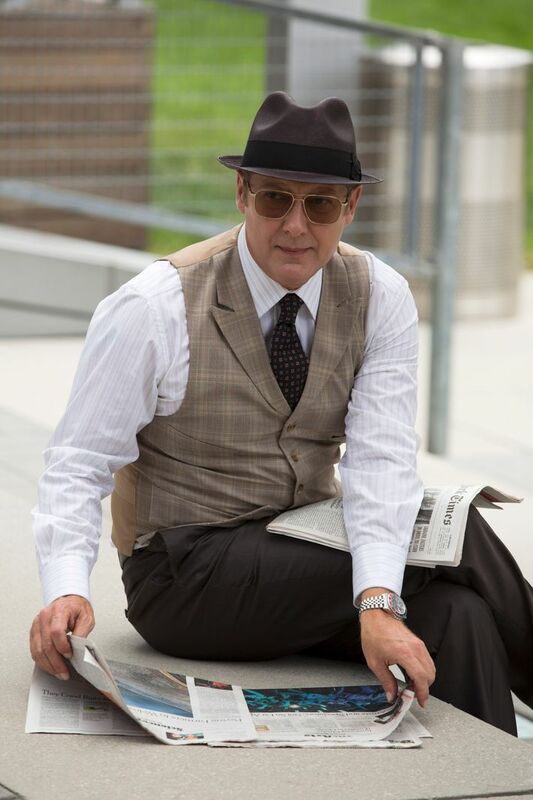 NBC’s The Blacklist, one of last year’s breakouts, returns for a second season tonight at 10 p.m. (before moving to Thursdays at 9 p.m. starting in February). If you haven’t seen the show yet, or you’ve forgotten certain things, or maybe you’re just now getting to it, here’s a quick rundown of what you need to know from season one. This list is kept by Raymond “Red” Reddington. It has the names of unbelievably dangerous killers, terrorists, and other assorted bad people. Ex-agent for the U.S. but now on the Most Wanted list. He surrenders himself to the FBI and says he wants to help them by giving them the list. Only he knows how to capture these people. Of course, he has a hidden agenda. Actually, he might have six or seven hidden agendas. Quite possibly the most important character in the show besides Red himself. It’s a sharp little number that looks like something Sinatra wore back in the day. The FBI agent assigned to work with Red. Actually, Red insisted that she work with him for reasons we find out later in the season. Schoolteacher who loves his wife. Then we find out that he’s actually a secret spy/killer connected to the bad guys and is only pretending to be a schoolteacher who love his wife. They eventually have a big fight, and he escapes. He’s shot later, but, well, he escapes again. Remember the cage where they held Hannibal Lecter in Silence of the Lambs? It’s sort of like that, only if it were designed by Apple. Red doesn’t stay in it too long, though. 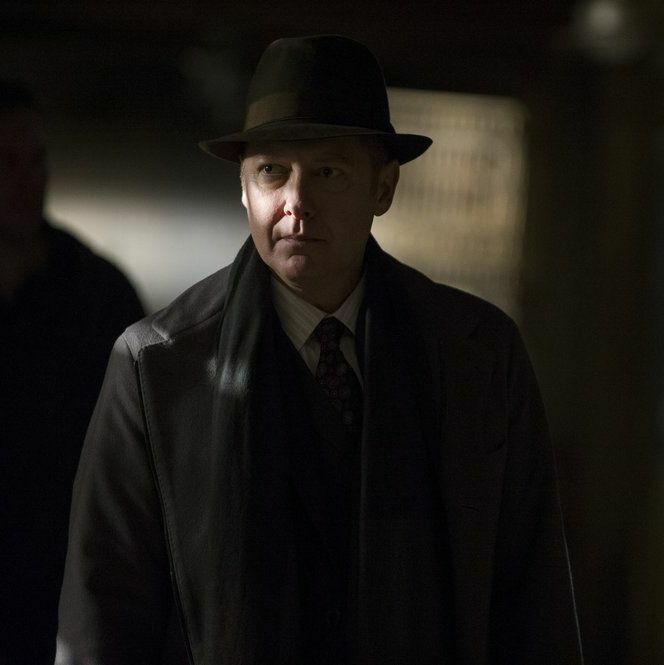 For most of the first season, Red stays in his own place, with a personal assistant/bodyguard/friend (Dembe), a car, a private plane, and fine wine and food. Or should we say the person who raised her? It’s still unclear who Liz’s father actually is. We know that there was a fire on Christmas when she was a child and Red was there because he has the scars. The guy who raised Liz was smothered by Red in his hospital room. It could have been because the guy was deathly sick, but who knows. Red could actually be Liz’s dad or that could even be Berlin (whom we’ll get to in a moment). This is where Tom hides a box full of money, weapons, and various I.D.s, in the living room. Liz eventually finds it and confronts Tom about it. Don Ressler: Liz’s partner. Gets beat up a lot. Harold Cooper: head of the team. Meera Malik: CIA operative assigned to the team. She’s killed in the season finale. Aram: the FBI’s computer genius. Basically, if it weren’t for him, they wouldn’t solve any crimes or catch anyone. He’ll shoot, stab, or strangle anyone who either stands in his way or withholds information from him. A woman whom Red calls once in a while when he needs a bloody scene/evidence to disappear forever. This probably deserves its own PowerPoint demonstration, but in short: Red is connected to a mysterious, powerful group within the U.S. government that includes a man named Alan Fitch. They have dirt on Red, but more important, Red has dirt on them. Red kills the FBI’s Diane Fowler (even though she may have info he needs) because she’s secretly part of the group. There seems to be various things going on here: Fitch’s group helped Berlin at one point, then they went against him. Red used to be part of this group (possibly), but now he’s against them. 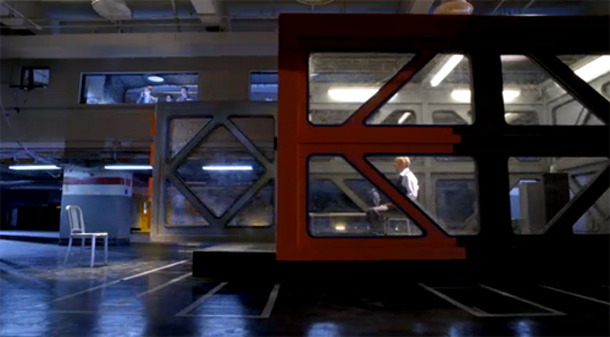 Fitch’s group kidnapped Red at one point because of the blacklist and was even going to kill him, then they helped him escape from FBI custody in the season finale so he could continue his work. Fitch’s group seems to go back and forth with what they want/need. There was also a group who placed secret cameras in Liz and Tom’s house. Red’s world is confusing. It’s not just a place, it’s a person! He’s the big, bad guy the whole show revolves around. He escapes after a plane crash and is now on the loose. Is he Liz’s dad? Does he have a personal grudge against Red and now wants revenge? (Both he and Red have the same picture of a little girl.) How is he connected to all of the bad people on Red’s list and Fitch’s group? Hopefully we’ll find out in season two.